Rich Jacques, formerly director of intel capture at Belcan, has joined Noblis as vice president of intelligence. He will oversee the Reston, Va.-based science and technology services contractor’s national security, law enforcement and intelligence programs across 14 federal agencies and manage the Noblis ESI subsidiary, the nonprofit said Monday. Amr ElSawy, president and CEO of Noblis, said the company is pleased to welcome Jacques to the executive team and expects him to build up Noblis programs and intelligence teams, which support high-priority missions across cybersecurity, bioinformatics, data analysis, forensics and advanced biometrics areas. Jacques brings to his role more than two decades of experience leading technology modernization, growth strategies and other transformational programs for federal clients. 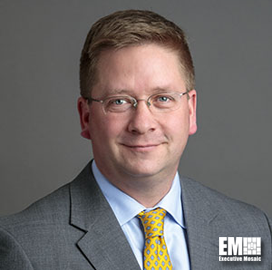 Prior to Belcan, he served as a principal at Booz Allen Hamilton (NYSE: BAH).